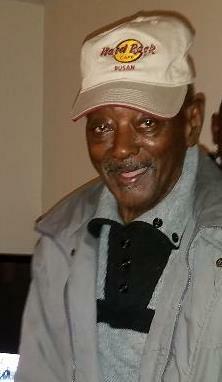 Mr. Henry Strawford Woodham was born on February 8, 1930 in Darlington County. He was the son of the late Wesley and Rosie Arthur Woodham. He received his education in the public schools in the area and later entered the United States Army in 1953. Henry was a retired Mechanic for many years and also a member of St. John United Methodist Church and the United Methodist Men’s Club. Surviving to cherish his loving memories are his wife, Minnie Woodham; Four children, Joseph (Annette) Woodham of Hartsville, SC, Kirby (Sandra) Woodham of Columbia, SC, Timmie (Lee) Woodham of Illinois, and Steve (Cheryl) Woodham of CCharlotte NC; One brother, James Woodham of Hartsville, SC; Twelve grandchildren, fifteen great-grandchildren, five great-great-grandchildren; a host of nieces, nephews and other close relatives and friends. He was preceded in death by five sisters, Elmere Toliver, Virginia Pauley, Azalee McFadden, Francis Woodham and Roberta Littles, and one brother Wesley Woodham.